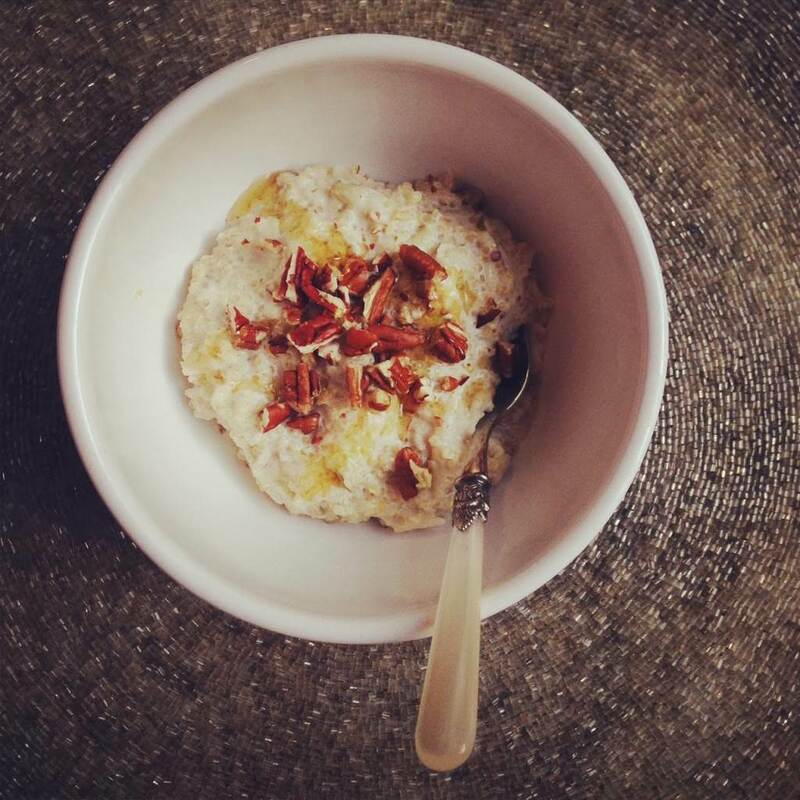 This morning’s breakfast was inspired by Michael Moore’s chilled quinoa porridge in his book ‘Blood Sugar; Quinoa and Healthy Living’. 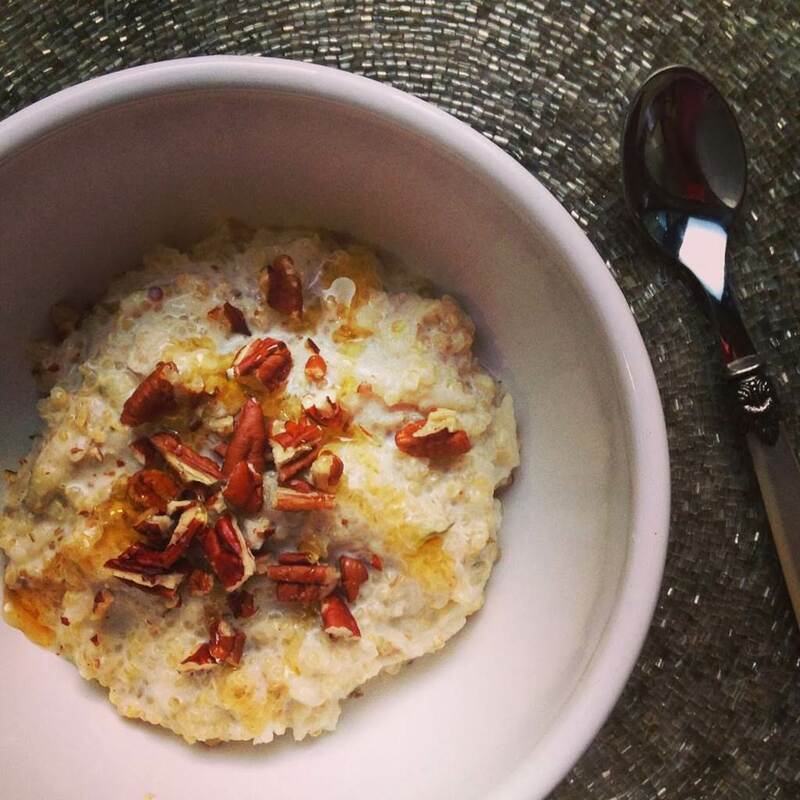 I love what a protein punch the quinoa gives and it was the perfect post-Speedflex breakfast. 1 Put the quinoa and milk in a medium pan over medium heat and bring to the boil. Simmer for 15min until the quinoa is cooked through (it should still have a little crunch to it) and most of the liquid has been absorbed or evaporated. Remove from heat and allow to cool a little. 2 Stir through the cinnamon, ginger, greek yogurt and pears, along with most of the pecans and honey. Divide between two bowls then top with extra pecans and honey. If you’re just making brekkie for one, then put the other bowl in the fridge for the following day!